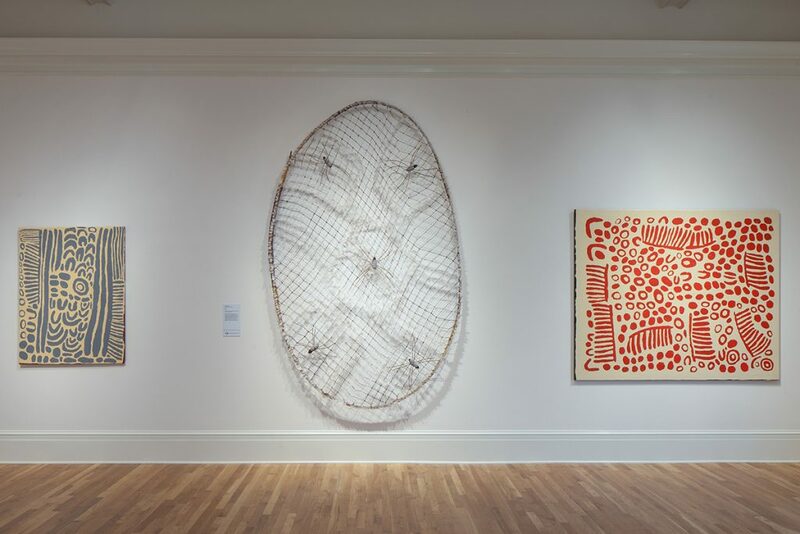 Hailing from remote areas across the island continent, the nine artists in this exhibition are revered matriarchs, commanding leadership roles and using art to empower their respective communities. 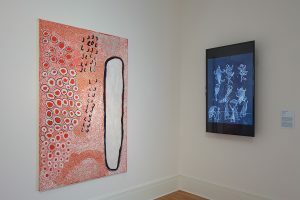 Their works are steeped in ancient cultural traditions, specific to each artist, and yet speak to universal contemporary themes, revealing the continued relevance of Indigenous knowledge in the twenty-first century. 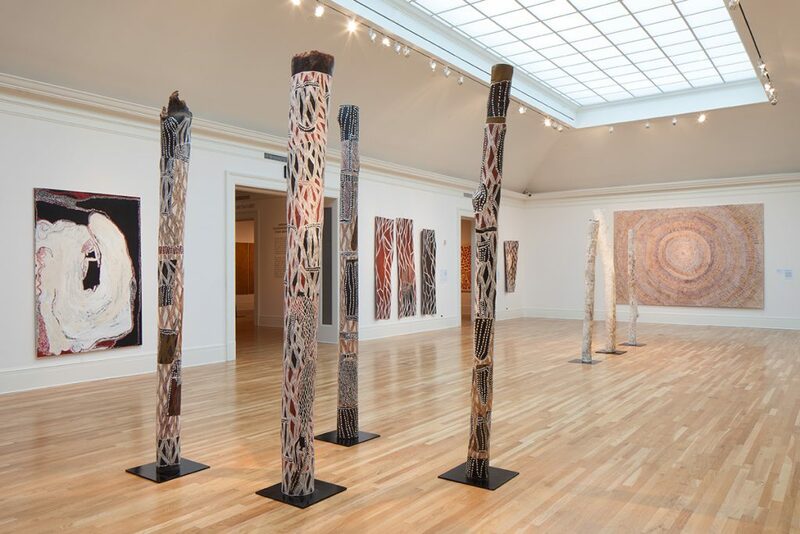 The subjects of the works range from remote celestial bodies and the native bush plum’s tiny flowers to venerable crafts traditions and women’s ceremonies. 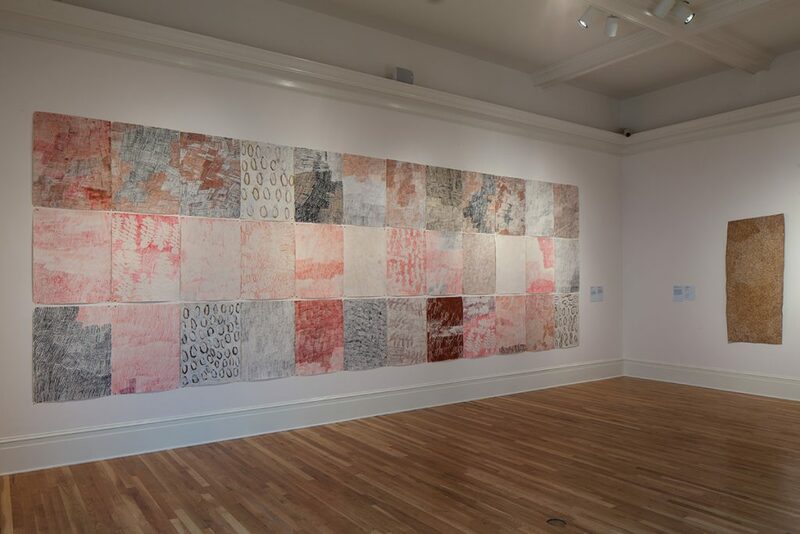 And yet, each work grapples with the most fundamental questions of existence. 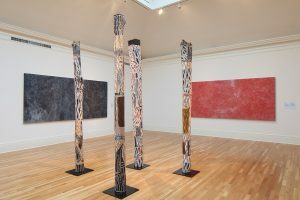 Every mark bears testament to natural and cosmological cycles that put one’s being into perspective: whether the ebb and flow of sacred waters and ancestral sands, or the simple passage of a brush against canvas. 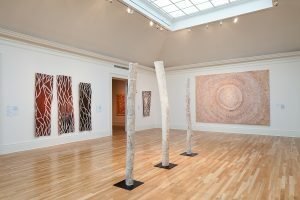 Theirs are marks upon the infinite, asserting both our shared humanity and differences in experiencing and valuing the same planet. 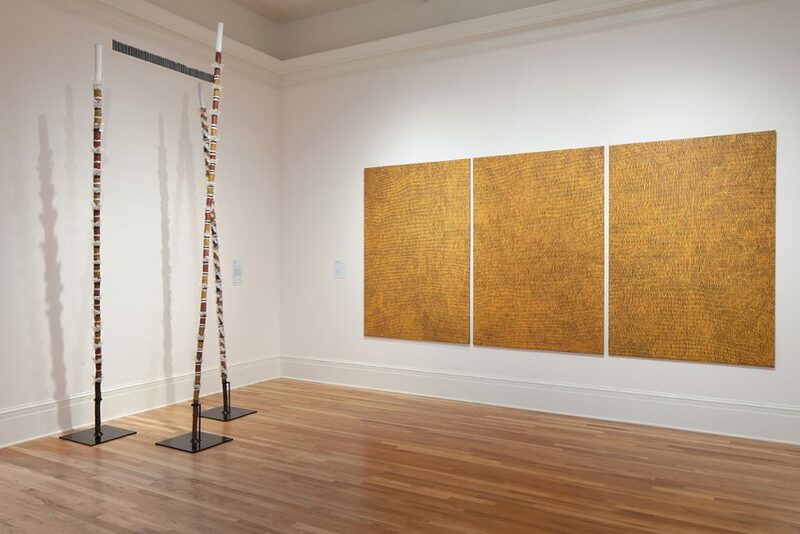 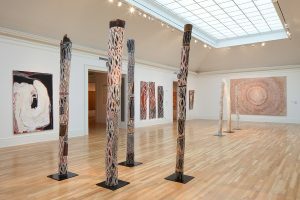 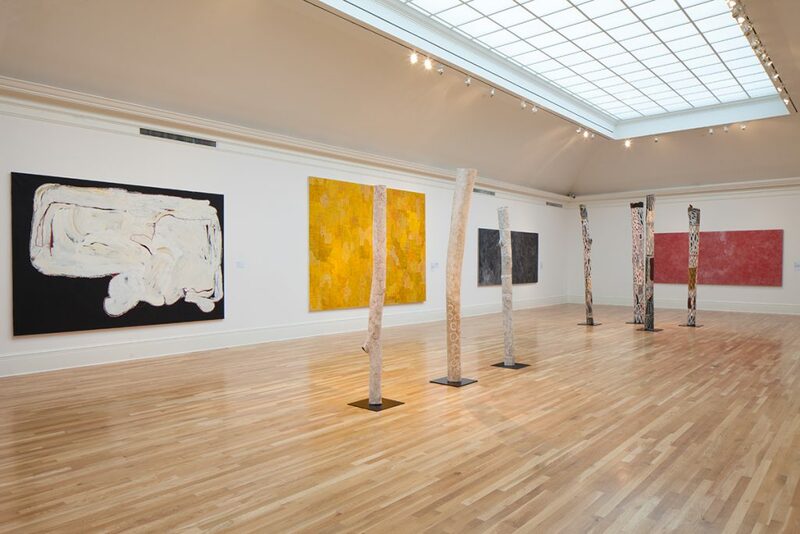 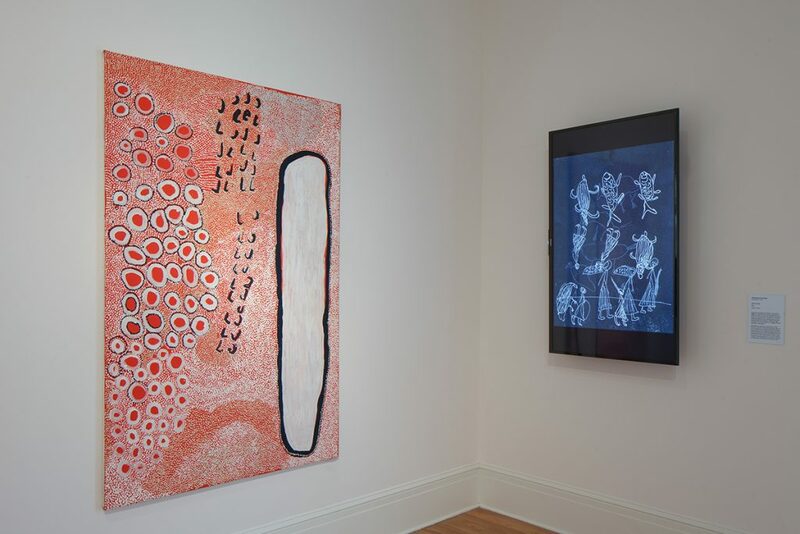 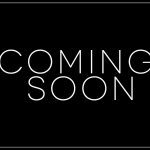 Marking the Infinite originated at the Nevada Museum of Art in Reno, Nevada and was organized by William Fox, Director, Center for Art and Environment, and Henry Skerritt, Curator, Kluge-Ruhe Aboriginal Art Collection of the University of Virginia. 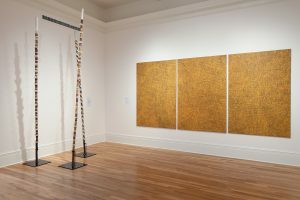 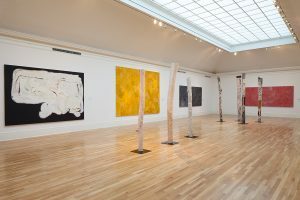 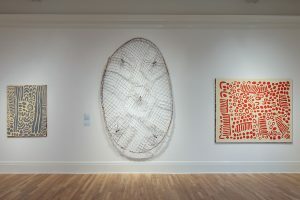 The exhibition is drawn from the collection of Debra and Dennis Scholl and at Newcomb Art Museum was coordinated by Anna Mecugni, Curator and Coordinator of Academic Programming, and Monica Ramirez-Montagut, Director.